Paperback, 5.5 x 5.25 in. / 128 pgs / 49 bw. 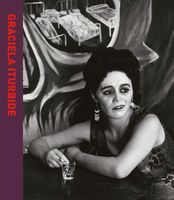 Graciela Iturbide (born 1942), a winner of the 2008 Hasselblad Foundation Award, has been acclaimed as one of Latin America’s greatest photographers for her photographic exploration of her native Mexico’s landscapes and inhabitants in stark black and white. In her latest publication, Mi Ojo, Iturbide presents a mysterious personal selection of her black-and-white photographs, an oblique exploration of that elusive thing that can make or break an image—the photographer’s eye. Using silver ink on black cardboard to print her images, Iturbide pushes the limits of what a photograph can be, creating images with the look of high-contrast negatives that draw out the intrinsic strangeness of the photographs. 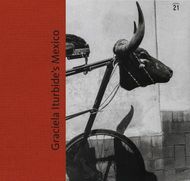 Designed in a small, intimate format and published in a limited edition of 1,500 copies, Graciela Iturbide: Mi Ojo will appeal to photobook lovers and connoisseurs of the photographer’s work. Introduction by Marta Dahó. Text by Juan Villoro, Carlos Martín García. Text by Kristen Gresh. Contributions by Guillermo Sheridan. 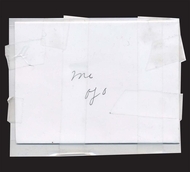 FORMAT: Pbk, 5.5 x 5.25 in. / 128 pgs / 49 b&w.